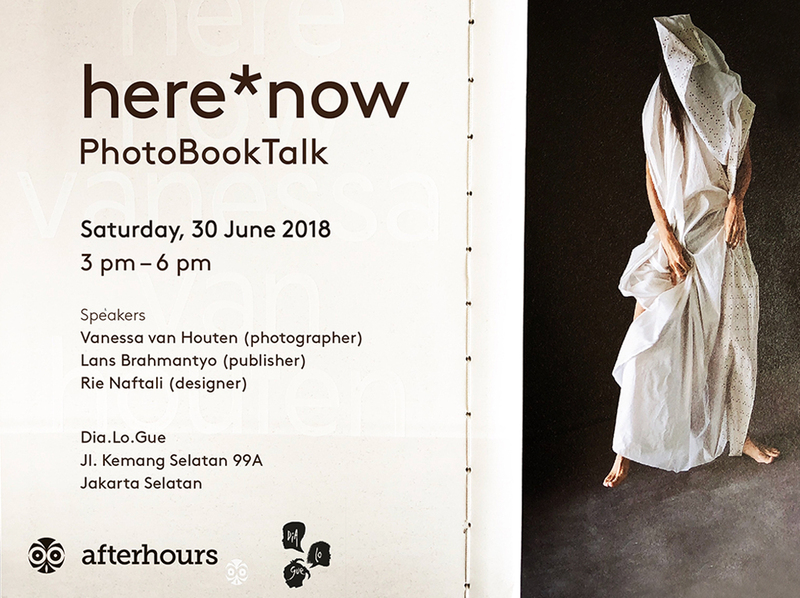 Meet, greet and talk with Vanessa van Houten, the photographer of here*now, a photobook of over 50 Indonesians—women, men, warias (cross-dressers, transsexuals and transgenders)—who are passionate chéfs and baristas, young entrepreneurs, accomplished athletes, mothers, fathers, loved social influencers, dancers, & so on. here*now: PhotoBookTalk will discuss about the making of the book from the initial idea, design concept, how it got developed, produced, published and exhibited. An interesting afternoon event for art/design/fashion & photography enthusiasts.